Turkey Hill Experience Review: Hands-On Fun for Ice Cream Lovers! We were recently looking for activities to do outside of Hershey, PA, and I came across an ad for the Turkey Hill Experience in Columbia, Pennsylvania. What is the Turkey Hill Experience, you ask? Well, ice cream lovers, it's an interactive experience where you can explore, play and learn about ice cream and iced tea production (and more), with unlimited free samples!! *GASP! * Read on for more info about this fun, family-friendly venue. Disclosure: I was provided with passes to Turkey Hill Experience and The Taste Lab, but all opinions are my own! The ice cream I consumed was totally my doing. And the souvenirs I bought...all me. This post is designed for easy viewing. Scroll to bold headings to find the information you are looking for. Or better yet, read straight through! Where is Turkey Hill Experience? The Turkey Hill Experience is located in Columbia, Pennsylvania, in Lancaster county. It was about 40 minutes from Hershey, PA, and a very pretty, scenic drive if I do say so myself. What is Turkey Hill Experience? How do I describe it? It's almost like an immersive ice cream experience- although that doesn't exactly cover it, because there's also iced teas and lemonades involved! This is not an actual production factory, but more like a fun, interactive set of exhibits and learning stations. To sum it up from their brochure, you can explore, learn and play...discovering the entire ice cream process, from delivery to freezing the ice cream mix and filling the cartons. You can listen and learn about the history of ice cream production and delivery during Turkey Hill Dairy's Early days. 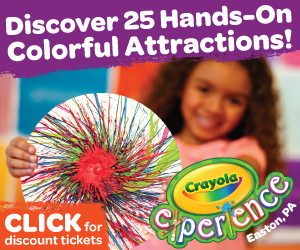 'Unleash your imagination' through creative, hands-on displays and exhibits. And best of all, there are unlimited free samples of ice cream and Turkey Hill beverages!! I'm not even kidding about that, so arrive with an empty stomach. There's ample free parking here. When you drive in, you're greeted by a GIANT cow out front. What a great photo opp!! And just to note here, Turkey Hill is committed to preserving the land of Lancaster county, so according to their press release, "rather than constructing a brand new building, the company chose to undertake an adaptive reuse project and rehabilitate a vacated building in Lancaster County's borough of Columbia for the new Turkey Hill Experience. The site is the former Ashley & Bailey Silk Mill, which had been vacant for more than 25 years." High five to that, Turkey Hill! What Can I Do at Turkey Hill Experience? Inside you're greeted by their awesome gift store (more on that in a minute), and a desk where you can sign in and/or purchase your tickets. You can also purchase your tickets in advance online, which I highly recommend. Purchasing in advance allows you to choose your lab times and plan your trip a little better. You can still visit Turkey Hill Experience without purchasing the extra taste labs (they have a general admission charge and then an additional fee for the Taste Lab and Tea Discovery. The Taste Lab and Tea Discovery take place at specific times that need to be reserved, and space is limited for each session). So once you've signed in or purchased tickets, you're free to explore the Turkey Hill Experience until your lab time (you can also go back to the experience after your lab time, too, if you wish). Head upstairs and you'll find all of their fun displays and exhibits. I don't want to show you everything (that would be a spoiler! ), but here are some highlights from our trip and what you can see/do. At Turkey Hill Experience, you can walk around at your own pace to see all of their fun displays. There are hands-on exhibits throughout the floor, so check your map (which you receive upon arrival) and try not to miss anything! There are exhibits about the history of Turkey Hill and about their awesome iced teas and lemonades. There are places where you can try your hand at cow milking or sit in an old fashioned milk truck. There's even a mini ball pit for kids under 6, and a twirling slide, too! We loved the Mix and Match display, where you can stamp a little card with different scents from the Mix and Match flavor machine. There was a pretend freezer and movies to watch. You could create your own virtual flavor and record a commercial of your very own. The best part is that you could save your experiences using the code on your ticket, enabling you to view what you made later on at home! It was the weirdest feeling to just walk up to a stand and be able to try any of the available flavors I wanted, over and over again! That was one of my favorite parts of the whole experience! Their newest flavors were available to sample, which was kind of fun, too, since they make over 100 different flavors at Turkey Hill. Not all of them are available to sample, of course, but there was a nice variety when we visited! You can even sample their iced teas and lemonades! We loved their new watermelon lemonade. So yummy!! We purchased a small bottle to take home from the gift shop, too. I highly recommend the Taste Lab if you're visiting Turkey Hill Experience. The additional fee is nominal and it really helped to complete the whole experience. They recommend you arrive at Turkey Hill Experience between 45-60 minutes before your scheduled lab time, and I was confused about that at first. But that's really so you can enjoy the whole Turkey Hill Experience upstairs before your lab time. The lab time lasts about 35 minutes, and you can easily spend a good hour exploring the upstairs experience (and samples) before your lab time. Inside the lab, they ask that you wash your hands first. Then they seat you at long counters on stools to start your lab experience. I didn't have the best view behind this pole, but there are also television screens to help explain your adventure, and your technician wears a microphone so everything is very clear. Your lab technician walks you through the process of what you're going to do. You'll basically create your very own ice cream flavor with variables and inclusions (which is a fancy way of saying swirls and mix-ins). They start you off with a generous portion of yummy Turkey Hill 'white' base, basic vanilla. Would you believe I was almost perfectly happy to just leave it like this? How boring am I? But you can change it up with a variety of flavoring. Keep in mind you're not just dumping flavors into an ice cream cup like a make your own sundae bar. You are truly acting as "mixologists" and learning how to make edible flavor concoctions. The Jersey Momma's Boy was very particular about what he added to his base! The Inclusions Wall is pretty inviting, but again, you're encouraged to choose mix-ins that will work well together, not just dump everything in. The Taste Lab lasted about 35 minutes and there were explanations and steps to follow. I noticed this was a challenge for some kids under 3 to sit through. The youngest ones had to be walked out a few times because they were having trouble sitting still and waiting for what was next. They give you a very generous portion of ice cream, so you might want to plan a light lunch afterwards or eat lunch before you arrive. If you can't finish it all in the lab, you can take it with you. The Taste Lab is not allergy friendly, so it's not recommended for kids with nut allergies or allergies to certain foods. You don't get to keep that cool red tasting spatula in the photos, but you can purchase them in the gift shop. They also have plastic spoons if you want to take the rest of your ice cream outside the lab. We had a scheduled lab time of 12:45, and in true Jersey Momma fashion, we arrived at the exact same time as an entire school field trip. I was a little disappointed that we were placed in our lab experience with a field trip, so the kids and chaperones took up most of the room. So if I could ask the Turkey Hill folks to change anything, that would be it- maybe just keep the general public and the field trips separate. Nothing against the school kiddos, of course, it's just that I didn't feel like being on a field trip that day, if you catch my drift. We did not visit the Tea Discovery, mostly because The Jersey Momma's Boy and Mr. Jersey Momma are not huge iced tea fans (party poopers!). But according to the brochure, Tea Discovery enables you to "learn about tea origins, aromas and varieties. Discover, taste and experience tea from around the world!" Tea Discovery lasts about 30 minutes and you'll be able to sample a variety of Turkey Hill teas. Photos are from the Turkey Hill Experience brochure and website. If you have visited Tea Discovery before and you'd like to tell us about it, please feel free to add some info to the comments section below. It would be most appreciated! The Turkey Hill Gift Shop had an awesome collection of items. You can find t-shirts, stuffed animals, mugs, bowls, pencils, magnets- you name it! We were sure to buy some of the yummy bottled lemonades here, too. You can also shop for some of the Turkey Hill Experience items online, too! 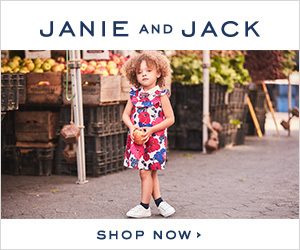 Visit their online shop here. How Much Does Turkey Hill Experience Cost? As of the publication date of this entry, this was the cost of Turkey Hill Experience tickets (see photo below). But remember to check their website for the exact ticket prices before you plan your visit. Turkey Hill Experience welcomes groups and field trips, and you can also plan a birthday party here. How fun is that?? They sometimes host special events, so be sure to check their website for any upcoming plans, too. How Long Will I Be at Turkey Hill Experience? Don't expect to spend all day here (although you could, if you really love ice cream that much). Their website suggests about 60-90 minutes for the Experience itself, then plan on an additional 45 minutes if you do the Taste Lab. Add another 30 minutes in there if you opt to try the Tea Discovery, too. There is so much to do in and around the Lancaster area, though, so you can try to plan several stops to make your day worthwhile! Check out the area attractions listed nearby. Just to give you an idea of what we did- we spent the weekend in Hershey, PA. On our last day at Hershey, we checked out of the hotel and drove to the Turkey Hill Experience. From there, we drove home. So it was the last stop on our weekend trip and worked out great for us. Where Can I Eat at Turkey Hill Experience? There is no place to dine for lunch or dinner at Turkey Hill Experience (although there is plenty of ice cream, iced tea and lemonade)! There is a small Pizza Hut located in the same building as the experience (with its own entrance) but it is not a sit down restaurant (only counter service). You can order a pizza to take out, which is what we actually wound up doing. But I'll be honest, I was totally full after eating all of that ice cream and didn't want to eat much of anything after we visited. My kiddo was perfectly content with the pizza and so was the hubby! When Can I Visit Turkey Hill Experience? Turkey Hill Experience is open year round, but check their website for exact dates and times of operation. It makes a great day trip if you're visiting Lancaster or Hershey. It's also not far from Philadelphia, Baltimore and Harrisburg! *Note: I have heard from some readers that Turkey Hill Experience can get very crowded at times. This was not the case for us (even with a field trip among us, it was not too bad). Always plan your trip accordingly and arrive early, especially in the summer months ('cause everyone wants ice cream in the summer, you know!). What Age is Turkey Hill Experience Good For? I witnessed kids of all ages enjoying Turkey Hill Experience. I think everyone would enjoy it, honestly, even adults without kids. 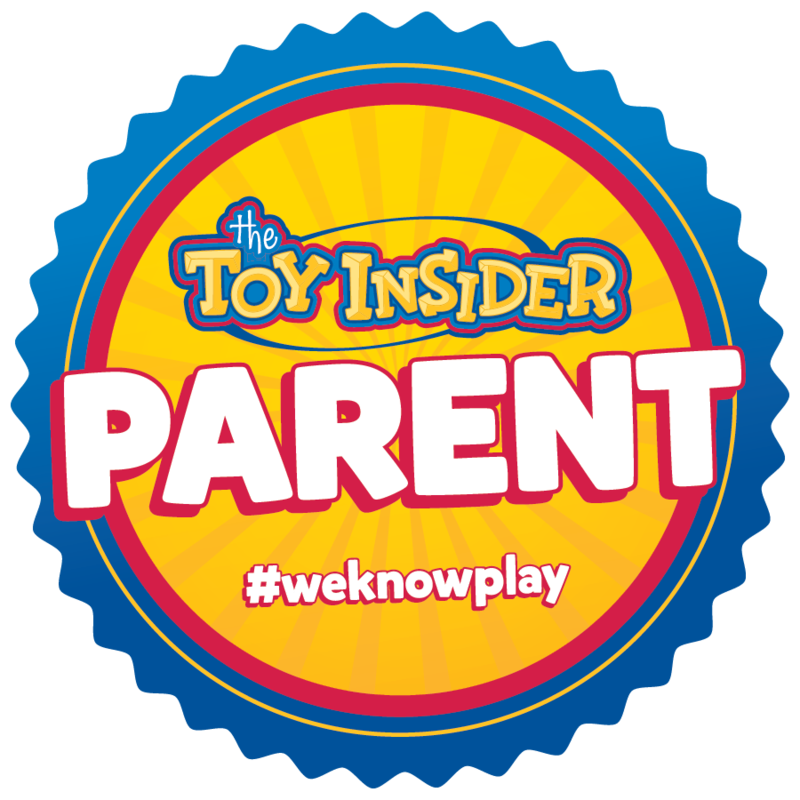 As noted above though, children under 3 (or even 4 and under, in my opinion) might have trouble sitting through the 35 minute walk through of the Lab experiences, but you have to judge accordingly based on your own child's abilities. 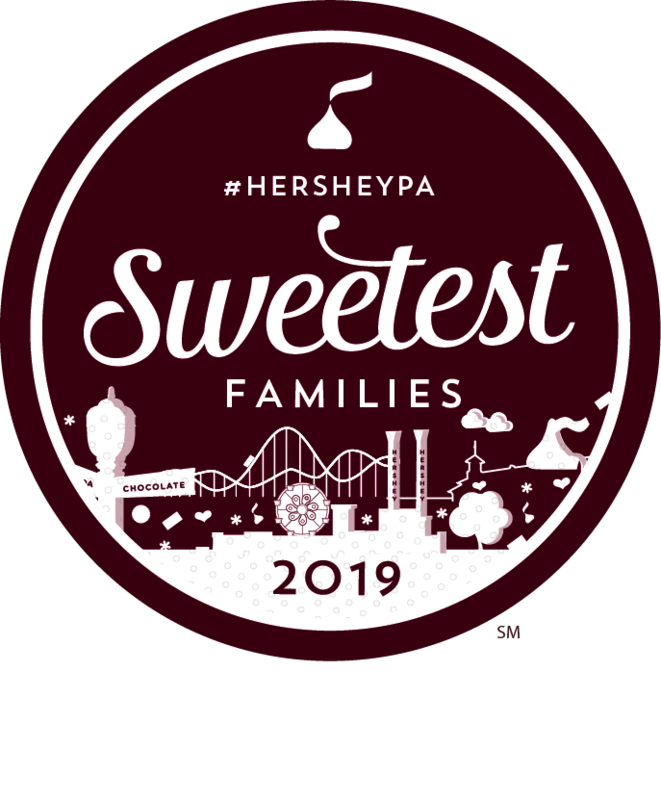 Be sure to check out my Hershey Insider Page, too, where all of my Hershey, PA reviews and posts are available in one place!